the * King of England......find what 'the' is. Many years ago Richard The Lion Heart was the adjective adverb article common noun coordinating conjunction preposition pronoun proper noun subordinating conjunction verb I don't know King of England. He was a courageous and noble man. 2. He loved danger and adjective adverb article common noun coordinating conjunction preposition pronoun proper noun subordinating conjunction verb I don't know was very fierce and terrible in battle. 4. 'Let me rule while adjective adverb article common noun coordinating conjunction preposition pronoun proper noun subordinating conjunction verb I don't know the king is away'. 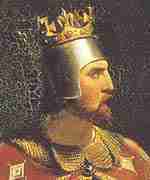 Prince John was allowed to do so and then he took the land from the Saxons and gave it to the Normans. of his land and money. 7. But one day the soldiers came, killed him and all his men, and burned adjective adverb article common noun coordinating conjunction preposition pronoun proper noun subordinating conjunction verb I don't know his house. great forest of Sherwood adjective adverb article common noun coordinating conjunction preposition pronoun proper noun subordinating conjunction verb I don't know . Robin was full of rage and thoughts adjective adverb article common noun coordinating conjunction preposition pronoun proper noun subordinating conjunction verb I don't know of revenge. But he was not lonely for long, other poor men joined him. 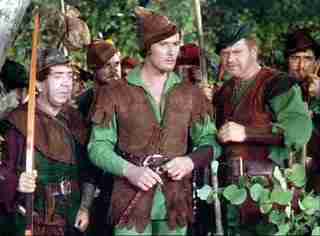 They soon formed a band and were known as the ' Merry Men'. Sheriff of Nottingham and Prince John until Richard came back from Palestine.